Did you realize how big of a difference lighting has on your mood? According to an article by American Family Physician, about 4 to 6 percent of people suffer from winter depression and up to 40 percent may have some changes in mood during the winter months. While this is based on the body’s reaction to sunlight (or lack thereof,) interior lighting can affect your mood as well. Each room in your home may have a different “mood” associated with it. In your kitchen or an office, you want something bright and inspiring. However, in your dining room you may want something soft and conducive to good conversation. Do not just look at the “big picture,” look at the room’s purpose and decide on the right option based on this. One way to give yourself flexibility in mood is by utilizing lamps. Sometimes you may want a bright overhead lighting to encourage you to get work done while in other cases you may only need soft mood lighting. While you can accomplish this with adjustable overhead lighting, adding a lamp may be easier, and you get the benefit of the decorative aspect too. Lighting is a very important part of your home’s overall appeal and interior feel, and it can affect your mood. Because of this, it is imperative that you put a lot of thought into your lighting choices, especially during house additions. Starting a new piece of your home with the right mood will benefit your project greatly. 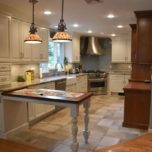 Kitchen Remodeling Trends – Just In Time For Memorial Day! As Memorial Day approaches, many people start thinking about making improvements and changes to their home. Summer is a popular time for this because many people choose to sell their home during this time and more people have free time available to put into these projects. If you are thinking about making some changes, it pays to look at the current trends. 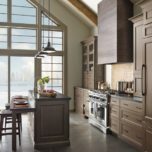 Consider these top kitchen remodeling trends and you can decide if one of these may be the perfect way to add appeal and/or value to your home. 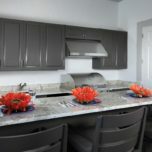 Go Gray – While wood, white and black continue to be the most popular colors for cabinets, a new color is gaining in popularity—gray! Consider this option for something a bit out of the ordinary yet still neutral. Automation – Ovens you can control from your smartphone and dishwashers that automatically run when full are just a couple of the ways you can automate your kitchen. High-tech options abound today! The Deep Sink – Deep sinks are both appealing and highly functional. A deep sink makes it easier to wash dishes and it is one of those added features that makes a kitchen feel high-end. 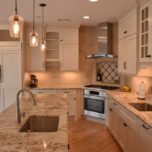 Unique Countertops – While granite is still very popular, more consumers are trying something new in terms of counter. Quartz is especially hot and it comes in a number of colors and styles. Flooring – Hardwoods and tile continually top the list of most desired flooring; however, these do not have to be the same-old, same-old. Bamboo is an economically friendly alternative to traditional hardwoods and tiles are coming in more styles and colors than ever before. Whether you want to embrace all the latest trends or you just want to add a touch of spice to your classic kitchen, some of these trendy additions may be something you want to keep in mind. 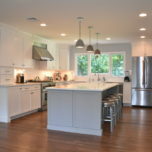 For NJ kitchen remodeling and other home improvement projects, visit us at https://www.trademarkinteriors.com. According to a National Home Improvement Survey conducted by HomeGain, there are many actions one can take on their own to increase the value of your home. 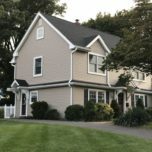 In fact, the survey showed that affordable (and easy) DIY home projects such as simple de-cluttering and deep cleaning, adding fresh paint, wallpapering and enhancing storage space not only increases your chance of selling your home quickly but also gives you leverage to ask for–and get–the price you want. 1. Brighten your home by installing new light fixtures, skylights, or replacing old windows with energy-efficient, easy-to-open windows. Potential property buyers aren’t looking for a dungeon-like home lit by one lightbulb hanging naked in the hallway. They want illumination, sunlight and the appearance of a spacious, healthy living area. 2. Forbes Magazine states that “buyers want storage”. This means sellers will increase the desirability of their home by adding storage space in all rooms, especially bedrooms and bathrooms. The addition of shelving units in closets, in room corners or kitchen areas are great DIY projects that will convince buyers your home has plenty of storage space. 3. Embellish a boring kitchen with a new, decorative backsplash. Inexpensive backsplash materials include ceiling tiles, wallpaper, wooden beadboard or elegant stainless steel. 4. 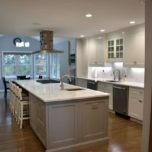 Accessorizing kitchen cabinets by exchanging old hardware for more aesthetic knobs and hinges will make your kitchen appear as if it had been completely renovated. Cabinet hardware comes in pewter, brass, bronze, chrome, ceramic and a variety of polished woods. 5. Are you interior doors mismatched or just plain boring? Upgrade worn-out bedroom, bathroom and entrance doors with noise-dampening doors referred to as “solid-core”. 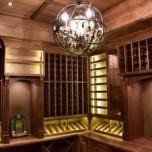 Not only will they suppress house and street noises but they come in a variety of woods and designs to stylize and improve the value of your home. While these are actions that can be taken by most homeowners, more substantial improvements and changes require professional help. 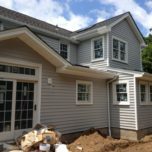 If you are looking for NJ home remodeling, give us a call today at 973-636-0100. The wave of the future has truly arrived with home automation, and there are at least five firm reasons why you should ride this amazing wave. Home automation lets you control your home’s electronic equipment and systems with the easy push of a button or simple voice command instead of having to physically and manually interact with each piece of equipment or system. Home automation holds many benefits, and can be incorporated into your house addition or next remodeling project. Home automation systems let you easily keep track of various components in your home through a single and simple user interface. You’ll be able to tell at a glance which lights are being used, the temperatures in specific rooms and which electronics are turned on or off. Home automation systems typically include a home security and surveillance system so you’ll always know what’s going on – even if you’re miles away. You can access your system through your mobile device to monitor activity and receive alerts if anything is amiss. If you love the music you’re listening to in the kitchen, you can program your home automation system to have that same music follow you in the living room, basement or den. You’ll likewise be able to control and integrate your video and home theater options throughout your entire home. Climate control climbs to a whole new level with home automation, letting you program in your ideal temperature settings that can also follow you from room to room. Precise control over your home electronics and systems can end up saving you money on your energy bills. Additional energy savings can come from home automation options such as shade control, which adjusts the amount of incoming sunlight. The total savings can add up, eventually offsetting the initial home automation investment while giving you the simplification, protection, entertainment and comfort every home deserves.